The International Journal for Crime, Justice and Social Democracy is an open access, blind peer reviewed journal that publishes critical research about challenges confronting criminal justice systems around the world. 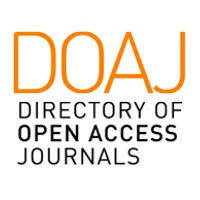 Committed to democratising quality knowledge production and dissemination through FREE Open Access publishing. We also use Creative Commons copyright which allows authors to retain their own copyright and re-publish. Authors can submit and publish at no cost - there are no APCs (Article Processing Charges). In 2015, the Journal met the Scopus evaluation as a high quality international journal and is currently ranked in the Q2 quartile. The Justice Prize will be awarded annually for the best peer reviewed article, published in the International Journal for Crime, Justice and Social Democracy, that, in the opinion of the award committee, makes an outstanding original contribution to knowledge. The Chair will be drawn from the Editorial Team. Winners of the Prize will be announced on the Journal web pages. The winner/s will receive $2000 scholarship toward attendance at the biennial Crime, Justice and Social Democracy conference where the award will be presented. In Oslo, Norway on 26 July 2011 around 100,000 people marched to mourn the slaughter of 77 victims murdered by Anders Breivik several days earlier. ‘Most people at the event carried a single red or white rose … The crowd raised their flowers together to Crown Prince Haakon, who said that '"tonight the streets are filled with love"’ (https://sputniknews.com/world/20110726165392120/). Prime Minister Jens Stoltenberg also addressed crowds in Oslo saying: ‘By taking part, you are saying a resounding “yes” to democracy’. He said this was a ‘march for democracy, a march for tolerance, a march for unity’, adding: ‘Evil can kill a person but never conquer a people’ (http://www.bbc.co.uk/news/world-europe-14285020). This sentiment is what our banner, of single roses held high, symbolises.